Square Enix announces that Tokyo RPG Factory's first game will be coming to Switch on March 3. Square Enix announced today that I Am Setsuna will be coming to Nintendo Switch on March 3, 2017. While the game was a launch title in Japan, it was previously listed within the "March 2017" window. Now it's a launch game in North America, Japan, and Europe. I Am Setsuna, walking towards daylight. According to the publisher, I Am Setsuna also includes a new versus combat mode called "The Temporal Battle Arena". Apparently the mode will allow you to fight other players' parties, but no further details were given. Tokyo RPG Factory has already confirmed that I Am Setsuna won't have a direct sequel. Instead, the studio is moving forward with new ideas and concepts. "We see I am Setsuna as a complete game in its own right and are not currently considering doing a direct sequel. However, we would like to continue making games based around the same core concepts. 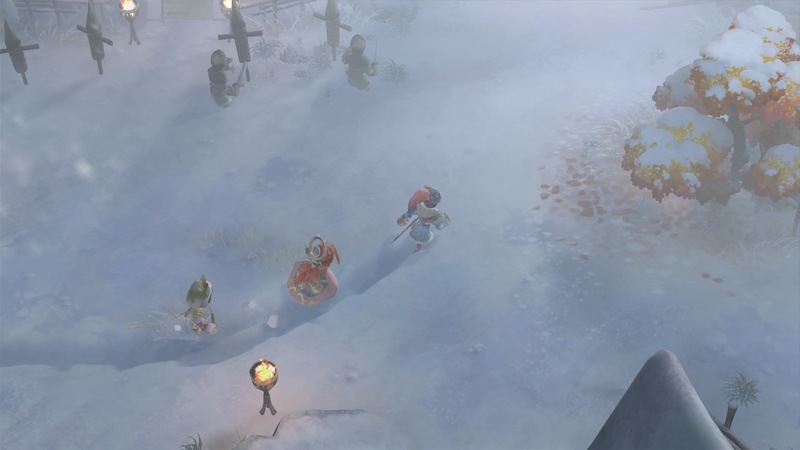 At Tokyo RPG Factory we set our objective for Project Setsuna as taking the unique appeal of the RPGs from the 90s and using a group of developers who loved those games to further evolve them as modern games," said director Usuke Kumagai. "There is always room for improvement so for the next project we want to build on what we learned from doing I Am Setsuna." Tagged with News,	Nintendo Switch,	Role Playing Games,	Square Enix,	Tokyo RPG Factory.